"This recipe is super kid-friendly, easy to make, and delicious. A favorite for kids' 'How To' speeches or just to enjoy on a hot day." Blend ice cream, milk, and chocolate sandwich cookies together in a blender until smooth. Pour into 2 glasses. 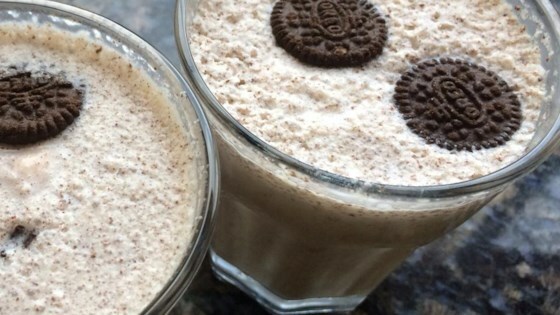 This shake is also just as good with vanilla frozen yogurt! Fantastic and easy to make. I made mine with homemade vanilla ice cream and piped fresh whip on top. Perfect amount of Oreo! It was a bit runny... but I loved it! It's also really good with strawberry ice cream if you don't have vanilla. for me it served one. but it was amazing!